From the revolutionary ALUMINIUM design comes the Givi TREKKER TRK33PACK2 Pair of 33L Side Cases. Both cases operate using the same matching key, speeding up those routine operations around your bike. Thanks to special selectors placed inside the boxes, you can convert each box to either to fully open the entire lid or only the uppermost smaller opening (very practical for quickly accessing items from the case, avoiding any ill-timed spilling of the whole contents). Combine the pair of TRK33N panniers with a larger top case from the same range to provide the perfect combination for your long-haul travel. Made of polymers reinforced with glass fibers, it ensures high structural rigidity. 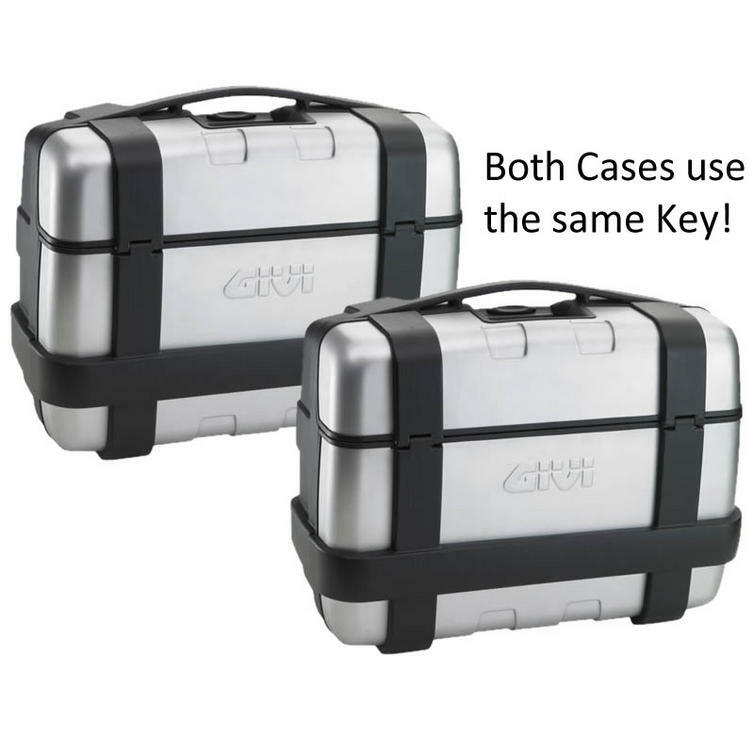 Trekker cases have a cover in anodized aluminium to resist weathering. Maximum reliability, with an uncompromising style. Welcome to the Trekker World. Discover new horizons. Get yours from Ghostbikes today! The Givi Pair of Trekker Small Motorcycle Topcases are currently available in the colours shown in the product variation above, if there is no variation option, it will be available in the colours as shown in the pictures above.